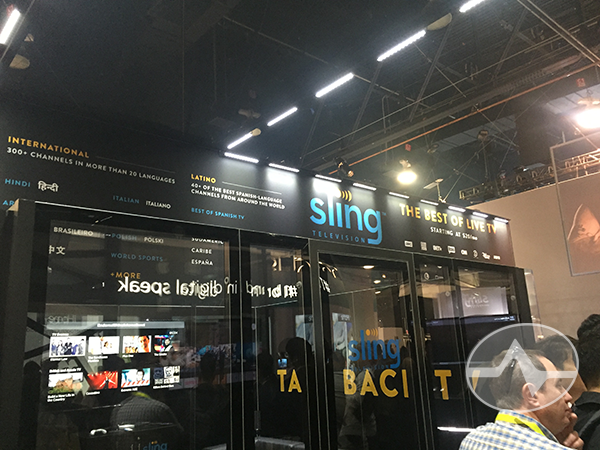 DISH and Sling TV were in a new location this year in the central hall, closer to RCA and other manufacturers and away from the Intel booth, which was inexplicably busy considering that no one really cares about processors. Their new booth was larger and it seemed like it was fairly busy, too. I saw no indication at all of the Slingbox line of placeshifters. Once upon a time this was a big product line for the parent company (Echostar) and if they were there at all, I didn’t see them. Considering that DISH rolled out the mother of all DVRs last year, it wasn’t surprising to see things were more or less the same as they were last year. 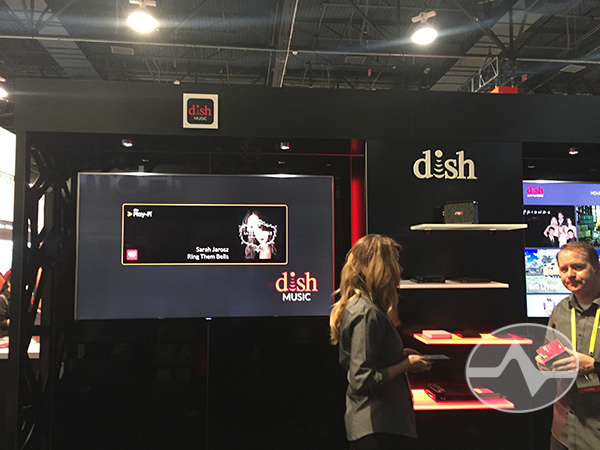 This is DISH’s display of DISH Music, the system where you can stream from your Hopper to “Play-Fi” connected devices, of which apparently there are some. I’m not a big music streamer but I know a lot of people are. This was shown last year and I thought it would be vaporware, but it turns out, surprisingly, that it’s a thing. 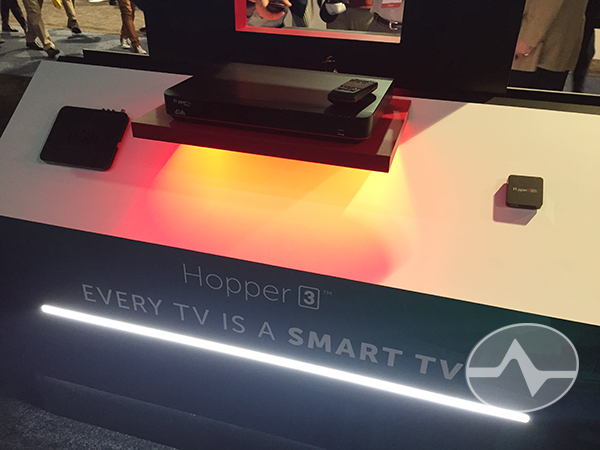 Of course DISH was showing Hopper 3, but this isn’t new technology. There’s new integration with Amazon Echo and the new music thing, but hey, Hopper 3 is already pretty far out there with 16 tuners and built-in 4K Netflix so it’s hard to know whre they’re going to go from there and stay out of the realm of science fiction. This is where all the excitement was. Since delivering the Sling TV service in 2015, it’s continually improved and it’s become very stable and reliable. Now, they’re dipping into the hardware side of things. The white one is an AirTV, the black one is a Roku Ultra put there for comparison. I kind of felt like this was confusing and people didn’t know why the Roku was there. The AirTV box runs a more or less stock Android TV implementation which means you can load almost any streaming app on it. 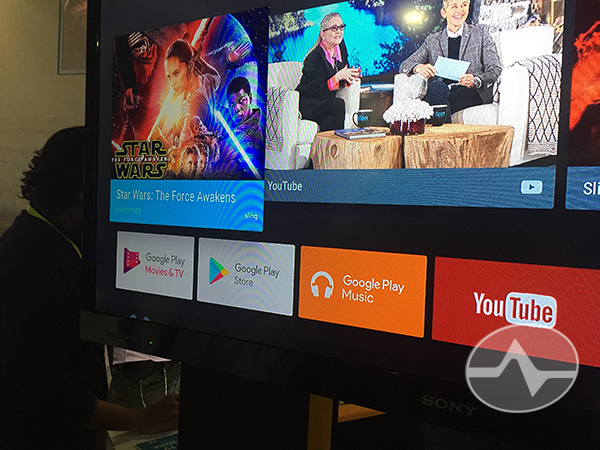 It comes preloaded with Sling TV (of course), Netflix, and Google Play. The user interface looks like pretty much every other streaming box you find out there, which is a good thing. It means that people will be able to learn it quickly. 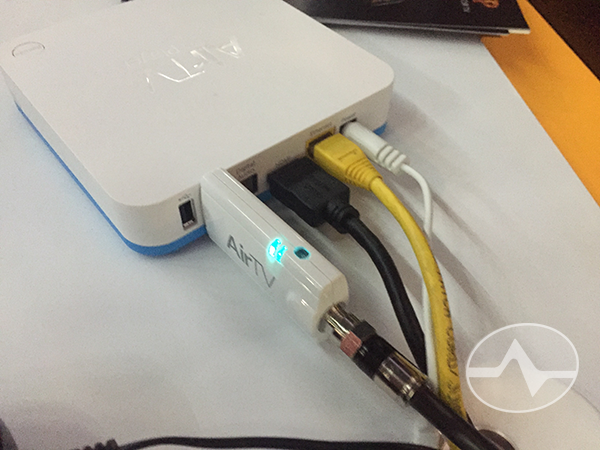 The back of the AirTV is a clouded affair, with wired ethernet, power, HDMI and a USB plug for the OTA dongle. 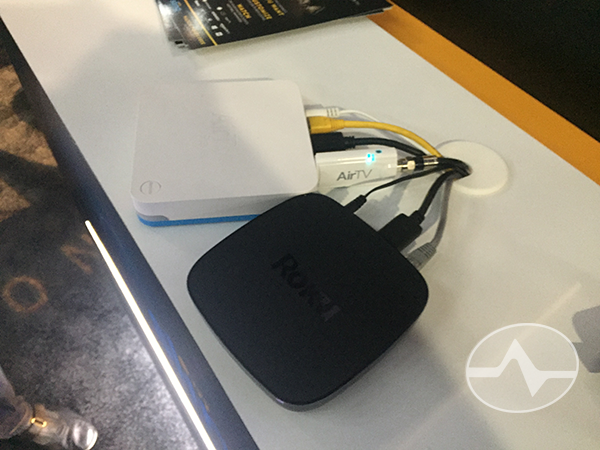 The OTA dongle puts this box head and shoulders above other streaming boxes because it seamlessly integrates antenna TV with streaming TV in a way that’s guaranteed to please people looking for a simple solution. Seniors will eat this box up, since it comes with a coupon for $50 worth of Sling TV. Solid Signal will be carrying the AirTV and the OTA dongle, perhaps as early as the end of this week. We’re confirming stock levels right now. 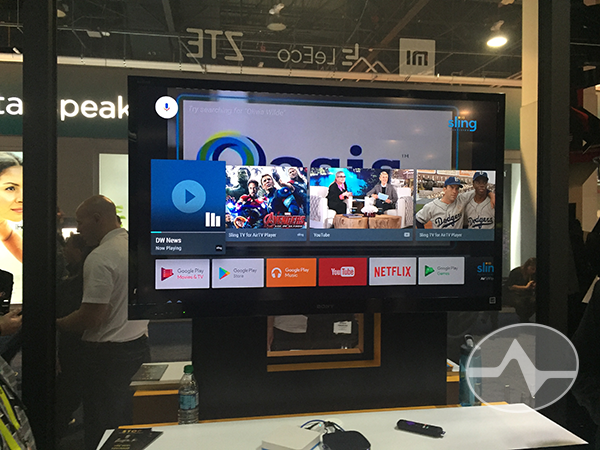 You’ll soon be able to buy this streaming device from your favorite consumer electronics vendor and you’ll still get the Sling TV coupon. We’ll even give you a recommendation for a great antenna to work with it! 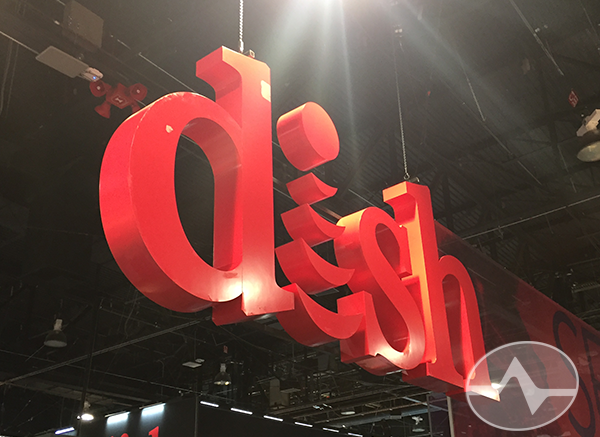 It looks like DISH is in great shape for 2017 and remember, the best place to get all the DISH equipment you need is SolidSignal.com!